In our last post, I described how we got to making a clicker/idle game. To summarize, we were very interested in the way clickers have a concentration of most the psychological elements that appeal to people in games. Or like I like to put it– pure game mechanics stripped of other more complex game elements such as rich environments, deep story lines and developing dialog and characters. Some clickers are richer in complex game elements, and there are studios who have made interesting variations on the genre. 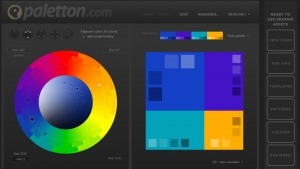 We wanted to create a rich experience as well, so we started brainstorming as to how to go about doing that. 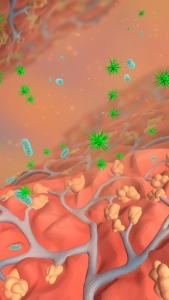 I come from a background of biology and medical sciences (you can read all about that and how I got into games here). 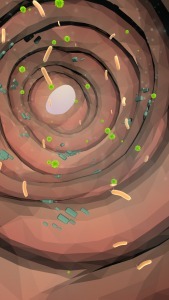 I really wanted to create something that combines both of my worlds- game development and medical sciences. 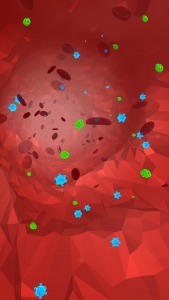 We started looking for inspirations from biology driven games- such as Pandemic and Plague Inc. Then we thought it could be really interesting to make it inside the human body. This animated series “Once upon a time… Life”, also know as Micro Patrol, is a French-Japanese-Swiss-Italian animated television series from the late 80s. 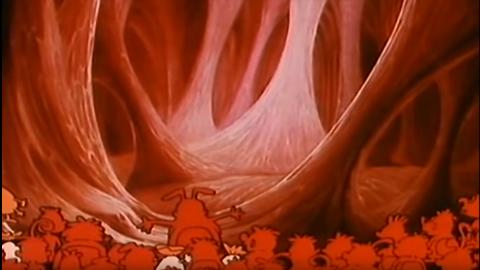 It was made to teach children about the human body- it’s organs and cells. 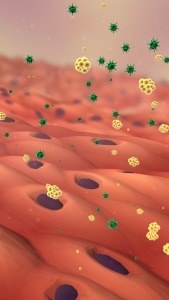 The heroes defend the body against viruses and bacteria. 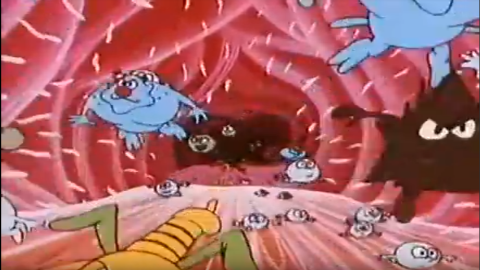 Lots of people (including us) grew up on the series, and we liked how the show portrayed the microbes and how the body defends against them, on a cellular level. 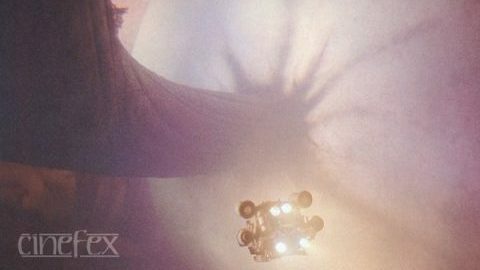 “Innerspace”, a movie from 1987 with Meg Ryan and Dennis Quaid, is about a man miniaturized and injected into a store clerk. 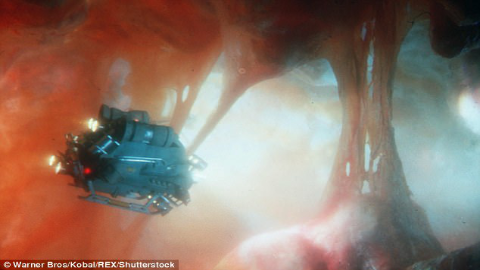 That miniaturized man travels through the body with a small ship. 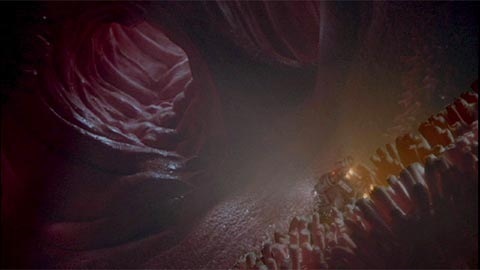 We really liked the voyage through the body and scenes where you could see the inside of organs, and wanted to create something similar that can translate into game environments. After finding the references that resonated with us, and several brainstorming sessions, we decided on a clicker/idle adventure through the human body- seen from the point of view of microbes. 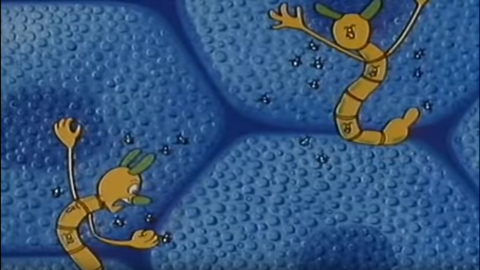 In a nutshell, you are a microbe and you have to recruit friends to infect and take over your host’s body organ by organ. 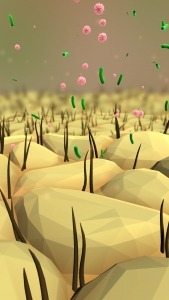 We wanted the environments to be scenes from inside the organs, with little microbes hopping up and down inside. We definitely love the idea and think it could be a very fun idle game. 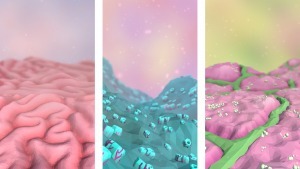 So far we have created beautiful worlds for the organs and cute little microbes. The incremental system and the UI are almost ready, so we will have videos and other in-game updates for you soon! Stay tuned for more on Microtap! Make sure to sign up below so you don’t miss anything (we post twice a month max, no spamming we promise! ).